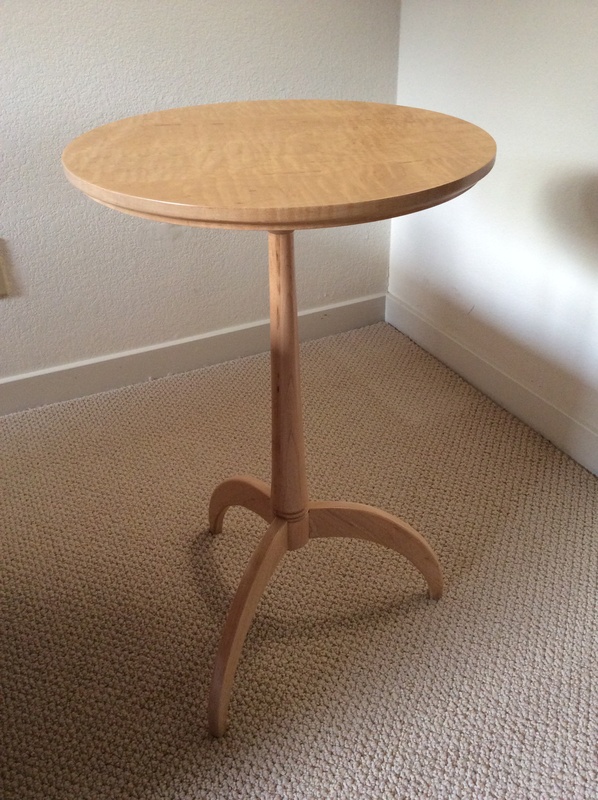 This is the table design that we built in the “Build an Elegant Table” class through Tamalpais Community Education 6:30 – 9:30 PM October 28 – December 16 2014. Sign up for future classes at Marinlearn.com look under Arts, Technical. The table has a round top, a turned central support and three legs, diameter about 16 inches, height about 25 inches. 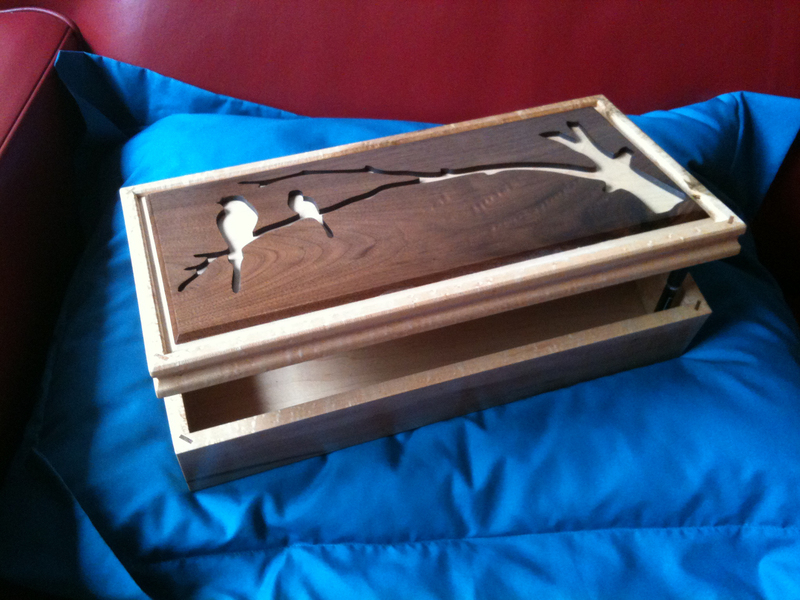 We will true up stock, book-matched boards for the top, turn the central support, use router templates etc.